This month, ARPA-E turns eight. To mark the occasion, we’re sitting down with ARPA-E’s Deputy Director for Commercialization, David Henshall, to chat about the lessons he and his team have learned while guiding early-stage energy technologies on a path toward the marketplace. 1. How does ARPA-E identify and then support early-stage technologies? Energy is essential to our economy, global competitiveness, and quality of life, and early stage energy technology development is a critical component of the innovation pipeline. The National Academy of Science’s Rising Above the Gathering Storm report published in 2005 identified a shift in corporate R&D from long-term research to short term development, creating a gap in the innovation pipeline for energy solutions. The report recommended the creation of ARPA-E to fill that gap by catalyzing high risk, high impact energy technologies that can create a more secure, affordable, and sustainable American energy future. ARPA-E achieves this by identifying and developing early stage transformational energy technologies that can fundamentally change the way we use, store, and generate energy particularly in technology areas that industry by itself is not willing to invest in because of technical and financial risks. However, we don’t do this alone but rather leverage the broader energy community, including industry, academia, and other government agencies, to create programs in “white spaces” where others aren’t currently exploring. Typically, we identify technology areas that involve new learning curves and offer the prospect of dramatically improved cost/ performance ratios compared to current technologies. While creating programs, the Technology-to-Market (T2M) team looks beyond what’s technically feasible to assure that there is a potential for market adoption. Once programs are established, we work with project teams to develop pathways to commercialization, and ultimately to impact our mission. Developing these pathways can include customer discovery, techno-economic analysis, IP strategy, value chain analysis, and more. We also facilitate introductions to strategic partners and prepare teams to effectively communicate their technology, value proposition, and impact potential. 2. ARPA-E often notes that it is built on the Department of Defense’s “Defense Advanced Research Projects Agency (DARPA)” model. How is ARPA-E similar to DARPA? How does working in the energy market force it to be different? Operationally, ARPA-E bears a striking resemblance to DARPA – we’re both committed to a flat organizational structure, empowering entrepreneurial program directors, and focusing on high-risk, high-reward research. But with respect to assisting project teams on a path to commercialization, ARPA-E is unique. While DARPA has a dedicated market and customer (i.e. 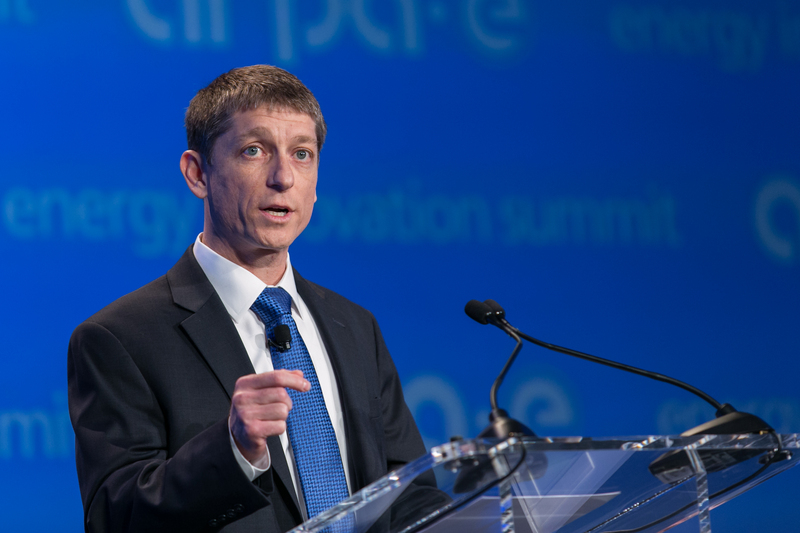 the U.S. Department of Defense), ARPA-E is supporting early-stage technologies that need to one day compete on the open market with commodity energy prices. Our challenge as T2M Advisors is to guide project teams to develop technologies with a product and customers in mind. That means evaluating market trends and listening to potential future customer needs in order to guide experimentation in the lab. It also means constantly asking ourselves, “if it works, will it matter?” At ARPA-E, we recognize that breakthrough technologies can only have impact if they provide sufficient value, are affordable, and are ultimately adopted into the value chain. 3. What lessons has the T2M team learned during these first eight years? With almost 600 projects under contract, we’ve learned a lot! We’ve discovered two key insights common to all successful technologists. The first is that technologists need to consider their path toward the market early, as they begin developing their technology in the lab. That means, among other things, talking directly to potential customers and understanding an industry’s opportunities and constraints. This inevitably provides direction for their experimentation and assures that they are creating technologies that customers want to buy. The second insight is, to solve big problem you need to rely on the broader energy innovation community. Successful technologists force themselves out of their technical silos to solve problems. In order to have an impact on the world, you need to collaborate with scientists from different disciplines, industry leaders, government stakeholders, and the financial sector. 4. How does the T2M team define success? How successful has ARPA-E been at moving technologies from the lab towards the market? ARPA-E’s ultimate success should be measured by our progress towards our mission to develop technologies that reduce energy imports and emissions and improve energy efficiency across our economy. But as a young agency that supports early-stage technologies, we’ve developed indicator metrics directly tied to our mission to effectively measure our progress. Since 2009, we’ve provided more than $1.5 billion in funding for 36 focused programs and three open funding solicitations. 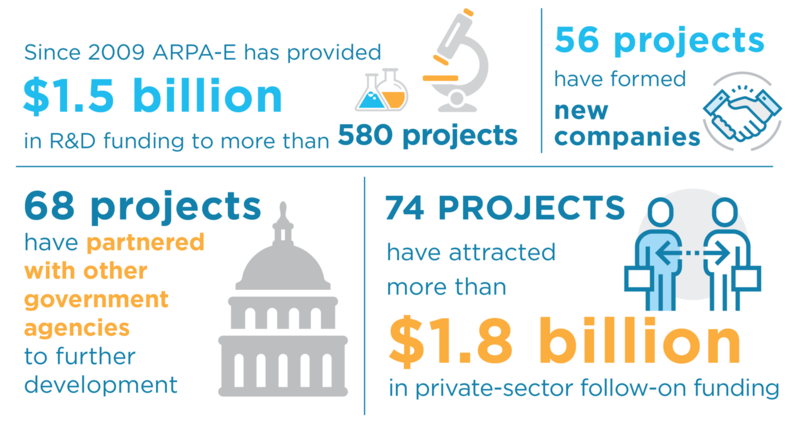 Many of ARPA-E’s more than 580 project teams have successfully leveraged ARPA-E’s funding to advance their technologies: 56 have formed new companies; 68 have partnered with another government agencies; and 74 teams have together raised more than $1.8 billion in publicly reported funding from the private sector to continue to advance their technology toward the market. Despite the Agency’s relative youth, we’re demonstrating that our model has the power to deliver real value. ARPA-E is investing in the best researchers in the world and has already developed a sophisticated portfolio of energy technologies that is positioning the United States to tackle our most pressing energy challenges. Stay in touch with ARPA-E by subscribing to our newsletter.